Does your office require a make-over? Are you planning to move offices and require a company to bring your new premises up to standard? If so, look no further than Acorn Building Contracts for a complete Hampshire office refurbishment service. 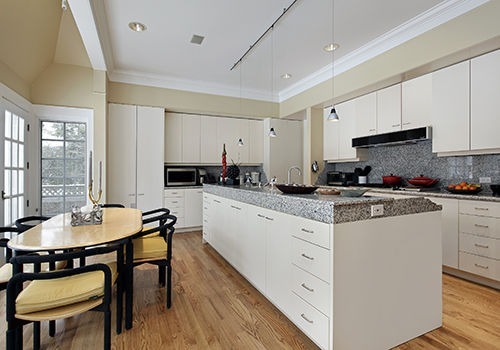 Speak to us about your ideas and specifications today by calling 023 8024 3336. Why is office refurbishment in Hampshire a great idea for your business? It’s proven that a great working environment aids towards productivity and having a spacious and modern office space is one of the many ways in which you can achieve this. Here at Acorn Building Contracts, we are passionate about utilising space in the best possible way. From open plan layouts to individual rooms, we apply our expertise to all manner of scenarios to provide an attractive Hampshire office refurbishment that is fully compliant with health and safety standards. When you choose us to take care of your plans, you’ll receive the best office refurbishment Hampshire has to offer. From tower-blocks to single storeys, no task is too large or too complex for our team. Find out more about our services for office refurbishment in Hampshire by reading on below. How can we help you to achieve the best office refurbishment Hampshire has seen? Here at Acorn Building Contracts, we provide a one-stop-shop service for all Hampshire office refurbishments. Our multi-skilled team will work hard to ensure every aspect of your office refurbishment in Hampshire showcases the highest levels of quality. Before we can start the interior design process, we’ll come over to your premises to carry out a complete survey, which will take into consideration measurements, fire exits, desk space and partitions. We’ll then sit down with you to discuss your vision for your office refurbishment Hampshire. From modern, clean cut lines to colours that embody your company’s branding, there are many ways in which to approach the interior design of your office. We will suggest any alterations to layout, ideas for office furniture and any finishing touches in line with the budget that you have given us, so you achieve the best office refurbishment Hampshire for your money. We know that you’ll want to have your office refurbishment in Hampshire completed in as short a time frame as possible to avoid extensive downtime on your business. To help ensure that your business experiences as little disruption as possible, we’ll aim to complete as much as possible outside of office hours and at night. Our refurbishment team can also take care of the exterior of your building; from white-washing walls to jet-washing pavements, we’ll ensure fantastic impressions of your business premises are achieved right from the approach. 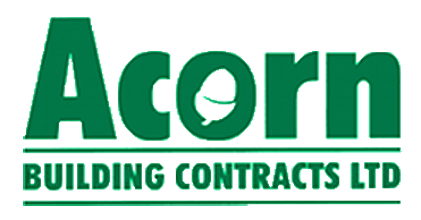 Why should you choose Acorn Building Contracts? As members of the National Federation of Builders and The Construction Federation, you can rely on Acorn Building Contracts to provide Hampshire office refurbishments that meet the exceptional standards required by these regulatory industry bodies. Approved by Southampton County Council’s Buy with Confidence scheme, you can be assured that we’ll carry out all Hampshire office refurbishments as promised. We don’t believe in charging for hidden extras. Instead, we provide fixed quotations that itemise each phase of your Hampshire office refurbishment, so you know exactly what you’re paying for. All work that we carry out will meet all building and health and safety regulations- and we’ll supply you with the appropriate certifications upon sign-off. If you would like to discuss moving forward with your Hampshire office refurbishment, get in touch with the team at Acorn Building Contracts today.